Whether you are looking to get a brand-new pair of dentures, or replacing your old ones, Best Dental is the right place for you. Our custom-made dentures are top of the line, and you will never be stuck with a denture that does not have a solid, comfortable fit. At Best Dental, we pride ourselves in working with arguably the best Houston Dentures lab. Our lab here is local, and we have a master technician that can fabricate some of the best dentures no matter how difficult your case may be. We have seen so many dentures patients come from other unhappy with their current denture because it just was not processed correctly. That is something that you do not have to worry about at Best Dental. 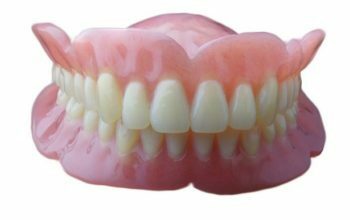 We guarantee our dentures will fit comfortably in your mouth, otherwise we will make you a brand new one from scratch at no extra cost. Whether you are looking for traditional full dentures, partial dentures, or something simpler, we are the right office for you. Below are some common questions are patients have about traditional dentures. If you have any other questions, or if you are in need of a denture, please contact us today. This is a very subjective topic so we will try to really break down why some people have more success with their dentures than others. Your dentist should inform you during your consultation appointment what to expect from your new dentures. Are dentures covered by medicare? They are not going to be covered by medicare. There will be some instances where medicare may cover portions, or even all of the dentures. However, these are very rare occurrences. At Best Dental, we will check with your medicare provider to make sure you get the maximum benefit, so you can save every hard-earned dollar you have. Are dentures covered by dental insurances? Most insurance companies will definitely cover a percentage of your dentures. Every carrier and plan are different. Dr. Jasmine and her team will make sure your benefits are maximized and we will let you know during your consultation appointment how much of your denture will be supported by your insurance company..
Are dentures hard to get used to? If you are a new denture-wearer your mouth will need a few weeks to get used to your new dentures. The first few days will be difficult, but as time goes on your mouth will get more and more adapted to them. Are dentures made of real teeth? No they are not. They are composed of acrylic or zirconia based material to allow you maximum comfort during the day. Can denture teeth be whitened? No they cannot. Denture teeth are made of acrylic or a zirconia metal, so they cannot be whitened. They can however be cleaned thoroughly as to appear whiter. Can broken dentures be repaired? Yes they can. 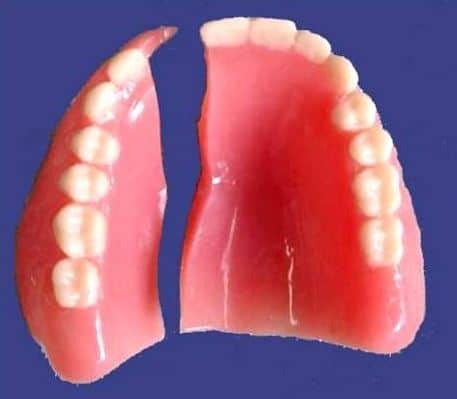 Most broken dentures can be repaired. During your consultation visit, Dr. Jasmine will notify you if your denture is reparable if it broke. Can dentures be worn overnight? They should not be worn overnight. Dentures should be cleansed thoroughly, and not worn while you are sleeping. They should be put on only during the daytime hours. Wearing them at night can create a nidus for bacteria to proliferate and cause potential infections inside the mouth. Can dentures cause oral thrush? Oral thrush is a fungal infection of the oral cavity. It can be seen with denture-wearers especially those who wear their dentures over-night. No they cannot since they are not composed of real teeth. Dentures are made in a team effort with your dentist and their corresponding dental lab. Your dentist will take an impression of your mouth, and this impression is sent off to the laboratory. The lab technician will construct a wax model that is sent back to your dentist so he can use it to take measurements inside your mouth. The wax measurements are sent back to the technician. The tech will then place teeth inside this wax model so that you and your dentist can see how the final denture will look prior to them processing the wax into an acrylic based material. Once you like how the teeth look inside the wax try in, the molds are sent back to the lab where the technician processes the dentures. During this process, the wax is replaced with acrylic. The acrylic is cleaned, polished, and sent back to the dentist. Your denture is now ready to be delivered and any final adjustments that are needed will be made by your dentist. Can dentures change the shape of your face? Yes they can. Your face droops when it is not supported by teeth. Much of the shape of your face can be regained with traditional dentures. How do dentures stay in place? Dentures stay in place mostly with soft tissue support and how much bone supports that soft tissue. The more bone and soft tissue you have, the more stable your denture will be. How long after tooth extractions can I get my final dentures made? Your dentist can take a few routes to get your dentures constructed if you are needing dental extractions. Another way dentist will go about making your denture involves taking an initial impression, and telling their lab technician to construct a temporary or interim denture. The second appointment, your teeth are removed and the interim denture is placed. After 6-8 weeks of your tissues healing, the process of making your final denture takes place. 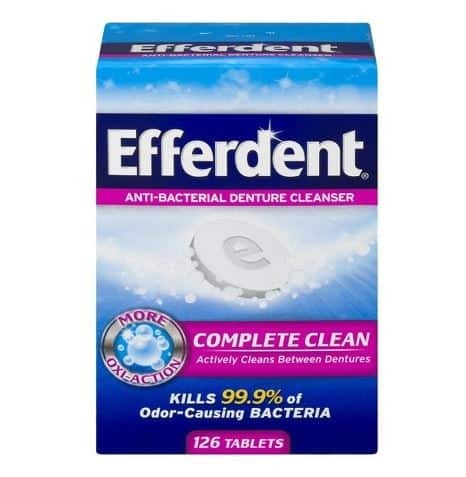 Place dentures in water with a cleansing tablets to remove any debris that can’t be removed with your toothbrush. Do not soak your denture in any chlorine based products especially if your denture uses metal supporting structures. Call our office to learn more about how Implants and Dentures can improve your smile today.